I have fallen in love with this etsy shop. Thanks to the hub-beardy-bub for finding this wonderful place! I was gifted by a friend last year for my birthday with this amazingwonderfulheavenly scrub. I love the scent, the way it feels after I wash it off…the only thing I don’t like is the price. My penny pinching pockets cannot justify the regular $70 habit this product entails. Because of this fact, I am always on the search for yummy scrubs and soaps made with ingredients that won’t bother my super sensitive overly emotional irritable skin (constant source of frustration) AND fit my budget. 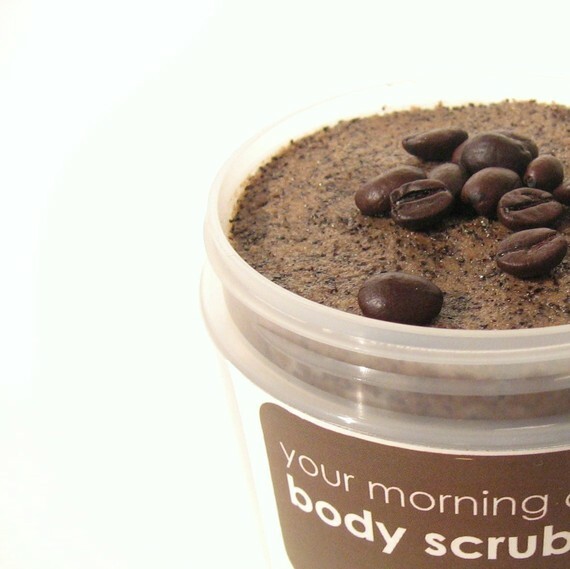 Cue amazing etsy shop: we first ordered over the summer and tried the Your Morning Cup of Coffee scrub and the Mint & Vanilla Snow Day scrub. I am not ashamed to admit that if it were socially acceptable to eat that mint scrub out of the container with a spoon, I would have. It. smells. delicious. and leaves me feeling similarly to the fresh: Brown Sugar Body Polish but without the guilt of spending over half of our grocery budget. 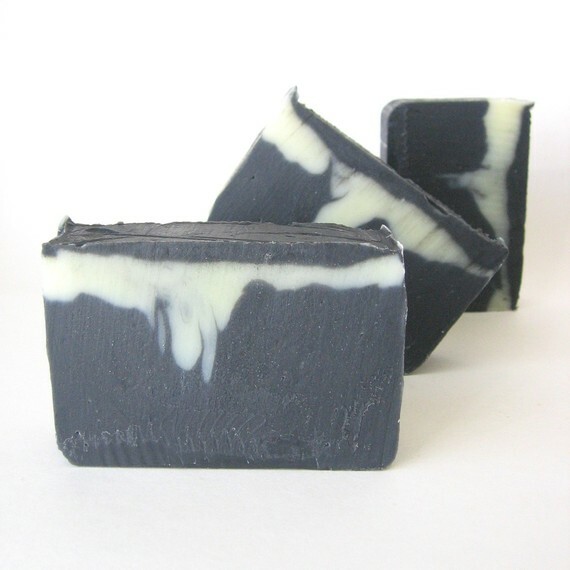 The shop owner send little slices of sample soaps to you when you place an order and with our first we received a little sliver of the Clarifying Activated Charcoal Facial Soap. Gift from God I tell you. I have never found a bar soap that agrees with my skin and I have tried pretty much every magical acne, sensitive skin soap under the sun. This soap is the perfect blend of harsh/gentle. I always feel clean and wonderful afterwards. 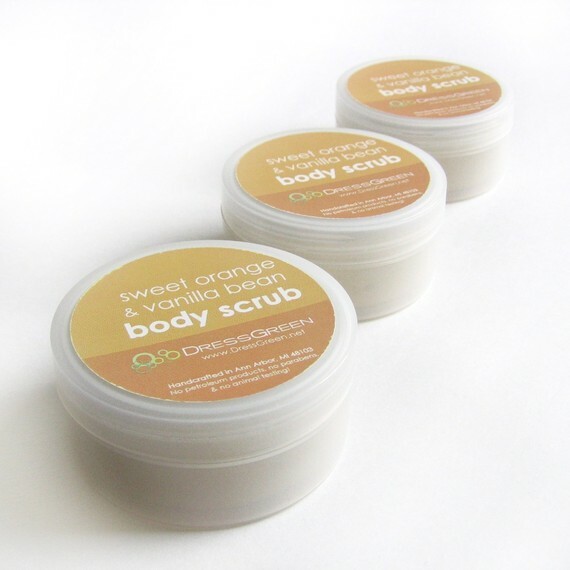 We just received our second order yesterday and once again went with the Mint & Vanilla Snow Day scrub and the Sweet Orange & Vanilla Bean body scrub. I also got a full size of the Charcoal Facial Soap. I am super excited to make good use of all of our new goodies and try the samples we received! I think our next order will consist of getting their Golden Pumpkin scrub. Delish. This is not a sponsored post in any way. I just really love the products from this shop and thought I would share. I love supporting small businesses especially when they sell awesome things for great prices. Have a splendid Thursday! Weeeeeeeeeeeeeeeeeeeeeeeeeeeee!